Are you thinking of getting married? 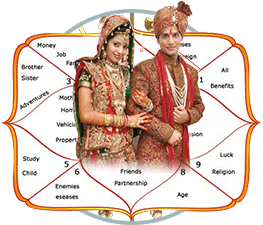 Vedic astrology can help you identify how compatible you will with your prospective life partner. Astrobix.com’s kundali matching service gives you the most comprehensive matching and analysis, telling you how you and your partner stand on each and every parameter. Get Your Vedic Compatibility Match Instantly! Get your kundali match report instantly in your own language when you order. Your report will be delivered in PDF format and will work on your phone or computer and can easily by shared with your friends and family. 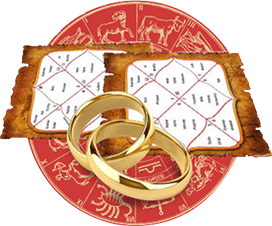 Your report will contain all the astrological factors vital to assess marriage. If you consult an astrologer, this will help him give you a better analysis and advice. 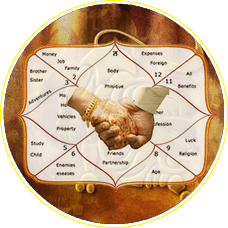 We don’t just give you astrological charts and kundalis, we also give you detailed interpretation and analysis for your chart based on the traditional shastras and the principles of Vedic astrology. These interpretations will tell how your qualities stack up with your prospective partner, and what level of compatibility you have according to Vedic astrology. Your horoscope match is going to unravel your entire life according to the science of Vedic astrology before you.